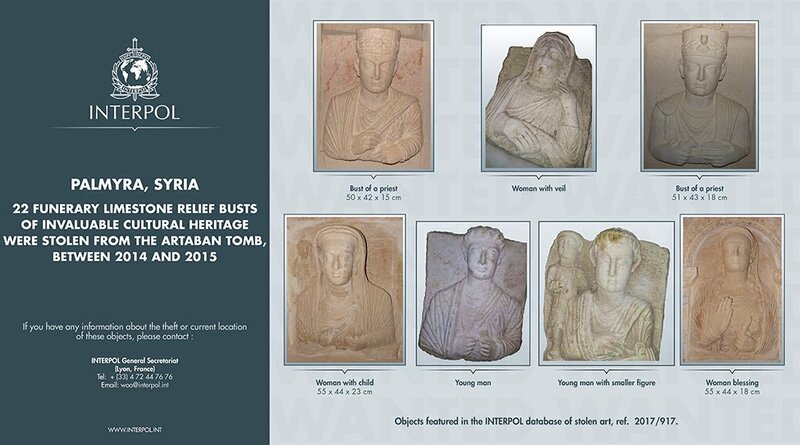 Every June and December, INTERPOL, the International Criminal Police Organization publishes a poster which highlights key works of art that the law enforcement organization designates as important stolen works of art taken in incidences which have been reported during the previous six months. 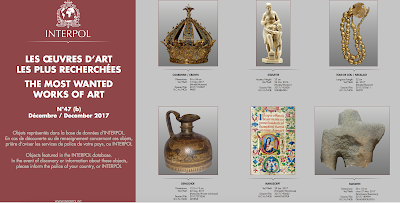 Distributed via all INTERPOL NCBs (National Central Bureaus) biannually to law enforcement agencies worldwide and available to the interested public on the INTERPOL website, their ID tool raises awareness of specific works of art to be watching for. 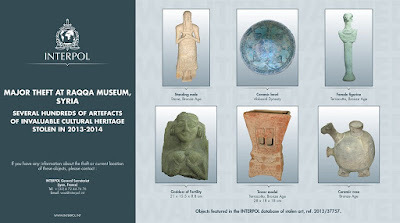 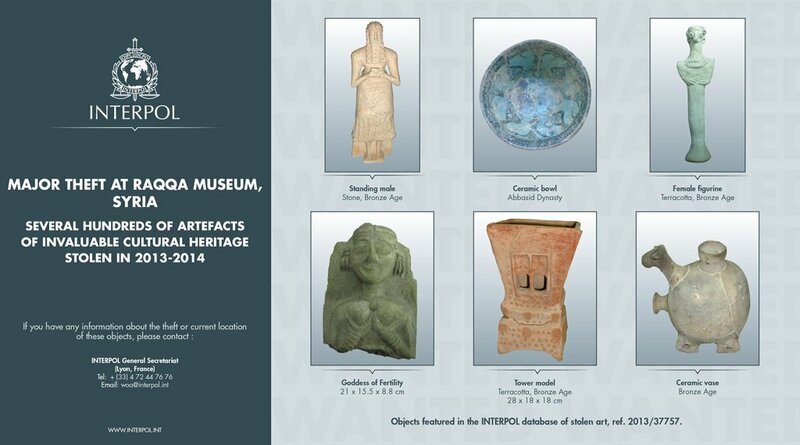 NOTE: This INTERPOL works of art lists are different from the ICOM Red Lists, which list endangered categories of archaeological objects or works of art likely to be trafficked from sixteen (soon to be seventeen) of the most vulnerable areas of the world. 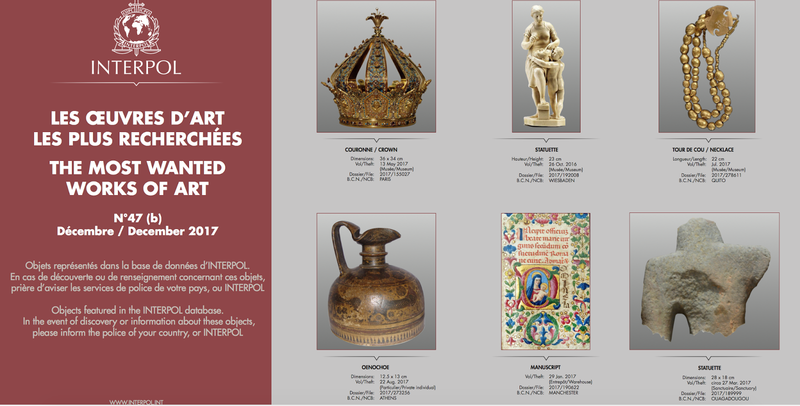 Since the publication of INTERPOL's first stolen works of art poster in June 1972, the organization has brought attention to 534 stolen objects; 51 of these objects have been recovered. 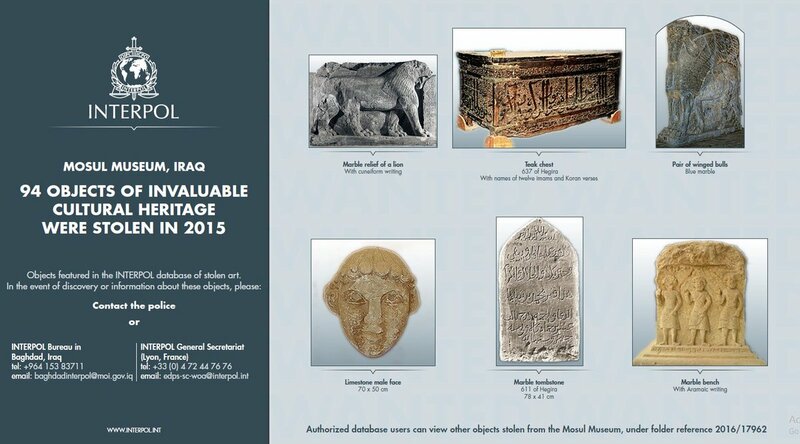 In addition to the biannual posters, INTERPOL sometimes publishes highlight posters designed to draw attention to serious multi-object thefts of substation value that occur at single locations. While Ukrainian border guards recovered 17 of the stolen Old Master paintings worth $18.3 million from the Italian museum, other historical objects in Iraq and Syria are still missing.